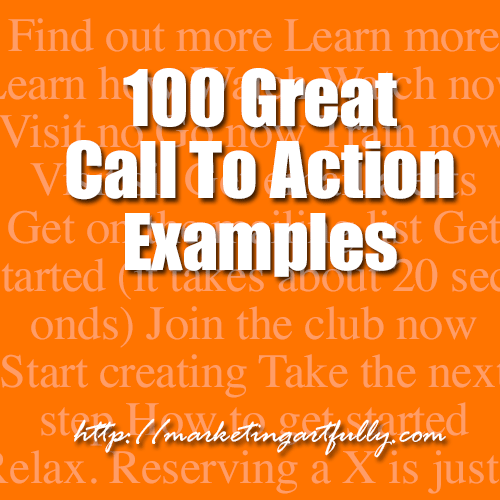 I have broken this list of 100 Great Email Call To Action Examples up into categories that make sense to me and possibly to the people that I am trying to reach. While they ARE somewhat grouped, I have not alphabetized them or put them in precise order as I actually use these to spark the creative process! 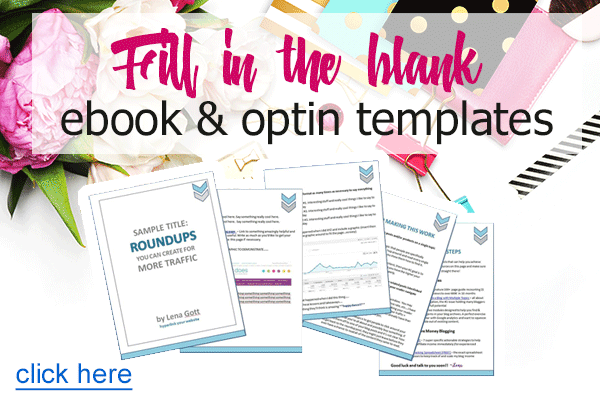 Some places you can use these call to action examples include in banner ads, google adwords, in your email newsletters, on your webpages, basically anywhere you want to have someone do something! Gentle, Non Threatening Call To Action – great for free offers or when you are just getting people into your database. There is a chance that these will convert well (because they are gentle) or that they will flop (not giving a strong enough voice to the action) so make sure to test, test, test and see which is the best one! These seem to be for the people who are planning something, be a trip, a move or a new marketing plan….interesting to think about the different personality types, I would have to think that these are for “C” types (on the DISC Personality Test) who like to have details and facts. Visual learners are forty percent of the population and especially important if you are going to be selling or offering something that you want them to look at or see. Oh everyone likes something for nothing! Using a free offer is a great way to get people into your database. Just make sure that you have a plan for them once they are in there. Not the most amazing buttons but definitely to the point and if you hit your audience when they are ready to buy can be very effective! These are all or nothing buttons, some more than other, but each requires that the user does something, makes a decision and takes an action. Would love to have more of these for our fundraising friends! Previous Post: « Guest Post Blogging – I was rejected by Social Media Examiner and I am okay! A priceless reference list. To the bookmarks it goes!